Instead of the congress “Birdamlik” – in the nuthouse? 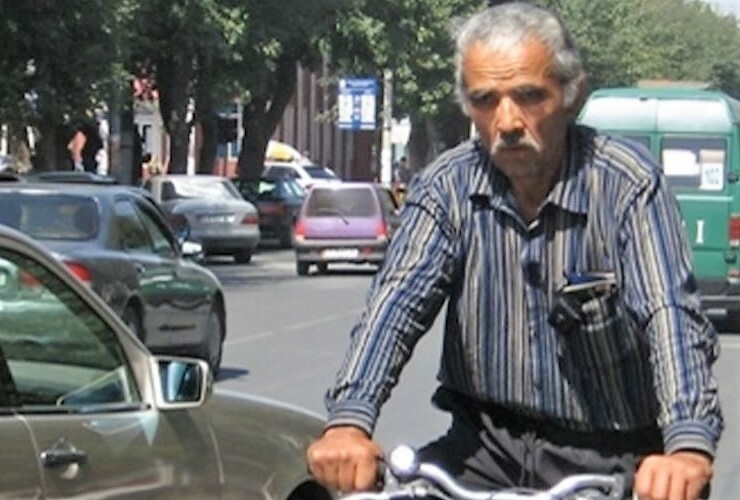 Ismail Malloboev, a Fergana activist and a former worker of the Ferghana Oil Refinery, before leaving for the Birdamlik Congress i in Shymkent, miraculously avoided being forced into a mental hospital: neighbors prevented. A little earlier, on Sunday night on 11 of November, a fist aid car was sent to Ismail’s house from the local nuthouse, the paramedics tied his hands and tried to forcefully push him into the car to send to forced treatment. At that time, as Ismail told C-1, he shouted to his family to write down the number plate numbers of the car and gave others instructions – and his neighbours in the four storeyed building heard his shouts. Possibly for avoidance of gathering of a crowd and serious scandal, the nuthouse paramedics and those who accompanied them in civilian clothing had to retreat. According to Ismail, as a result he could not leave for Shymkent (Southern Kazakhstan) where he was going to participate at the Congress of the People’s Democratic Movement of Uzbekistan Birdamlik on 15-16 of November, and where the Movement was to be reorganised to a Political party. Ismail told us that he was not the only person whom the authorities of the country put obstacles on their way to Shymkent. According to him, Gulkhayo Babajanova from Fergana, daughter of well-known, now deceased Ergash Babajanov could not go to Shymkent either. For the past days Gulkhayo was at a hospital for treating her legs, and on the 1 of November some policemen came to her house and required from her husband to give them Gulkhayo’s passport. After that she was driven out of the hospital without completing her course of treatment. In Tashkent, a well-known human rights activist Elena Urlaeva got herself trapped. She was going to leave for Shymkent on today, but on Monday she found out that the Bureau of Forced Execution at the General Prosecutor’s office of RUz that she owed 2070 US dollars to the National Bank of the country. The activist has no clue where such debt could have originated, but the Bureau people told her that she had no right to leave the county until she settled the debt. The leader of Birdamlik – 49 year old Bakhodir Khan Turkiston (formerly – Bokhodir Choriyev – note from C-1) says that the Congress will take place by all means, he thinks that some members of the Movement are already in Shymkent and he is expecting arrival of other delegates. Holding the Birdamlik’s Congress in Symmkent was a forced measure. And Turkiston, who has been living in political emigration in the USA since 2004 and has already taken citizenship of this country, in September at the embassy of Uzbekistan he wasn’t issued an entry visa to Uzbekistan in Washington. Вместо курултая «Бирдамлика» – в психушку?